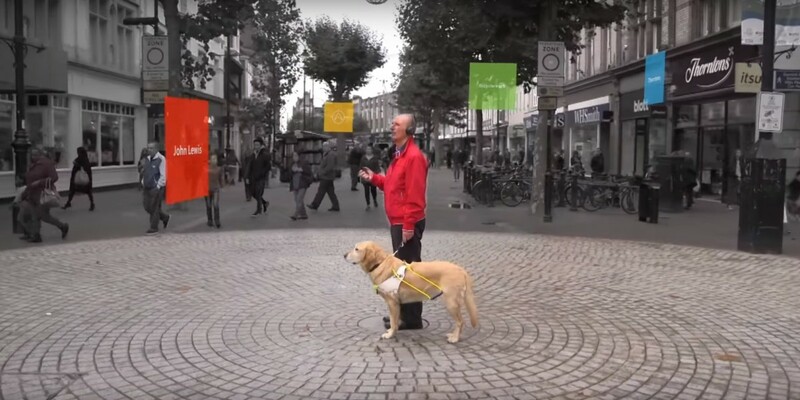 For two years, Microsoft has been working on Cities Unlocked, an ambitious project to use advanced GPS and smartphone technology to help the visually impaired navigate cities on their own. The Telegraph tested phase two of the initiative and reported that, aided by spatial audio, Microsoft’s technology now not only guides people to their destinations, but also helps them understand exactly where they are in relation to popular locations and landmarks. The company is trialing a pair of over-ear headphones developed by hearing aid maker GN Store Nord. It includes an accelerometer, gyrometer, compass and speakers in different parts of the headphones to give the impression of sound coming from different directions. “WHSmith, 35 metres” my special headphones said, with the sound coming from a speaker to the front of my right headphone – the direction the building was. “John Lewis Broad Street Entrance, 25 metres,” came the voice from behind my left ear. “Bicycle racks, five metres,” from my right. Knowing where you are in a public space is both empowering and reassuring. As part of the guidance system, Microsoft’s Soundscape app uses GPS when you’re outdoors to help figure out your location. When you’re indoors, it relies on Bluetooth beacons in stores and buildings to tell you where you are. This is where things get tricky: such beacons are typically used to monitor customer footfall, but they aren’t yet implemented everywhere and will need reprogramming in order to provide the visually impaired with feedback on where they are. Still, it’s an interesting use of the range of technologies that are now commonly available, and one that’s sure to ease some of the stress felt by the visually impaired when getting around. But it’s a while away from becoming a reality; Microsoft says that Cities Unlocked is still very much in the testing phase and won’t become available to the public anytime soon.